NetX360 offers one complete solution to efficiently manage your entire business, whether it's commission- or fee-based. Sales Desk is a cost effective and easy to use sales automation software that helps businesses manage their sales team, increase their productivity, generate more leads and build customer relationships. We at Sales Desk believe building relationships with customers is the foundation for any successful business. Most business these days ignore this factor and tend to treat customers and prospects like numbers. Business that use data to foster relationships outperform those who don’t. 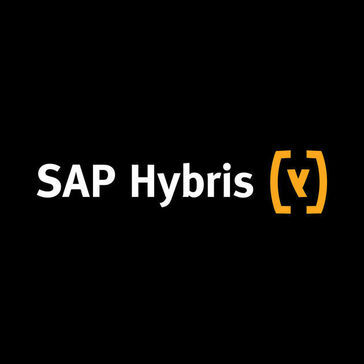 SAP Hybris Products for Sales The buyer is changing. In the digital economy customers don’t rely on salespeople to inform them about products and services. They turn to online information, communities and social networks. More than half of the buying process is complete before a salesperson is involved. To meet the demands of today's customers you need to know them inside out. They all come from different industries, have different preferences and face unique challenges. What’s more, in the emerging business landscape change is the norm. Trends emerge and products become celebrities, so you need to find new ways to stay relevant and compelling every day. That’s why we created SAP Hybris Sales Cloud. Built with mobile in mind, our advanced CRM Cloud solution can set your sales team free to lead the pack in this fast-changing world. Manage leads and opportunities, close deals faster, and increase revenues from anywhere. 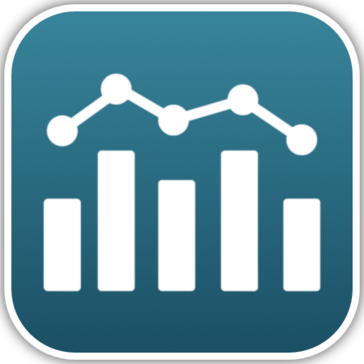 Sales Managers gain insight into forecasts and pipeline to make quick business decisions. Sales reps can spend more time selling, focusing on the best leads and opportunities powered by artificial intelligence. SAP Hybris Sales Cloud makes it easy to take customer information from silos in the back office and put it in the hands of frontline sales teams. ADAPTcrm is an integrated solution that allows companies to focus their entire enterprise on their customers with minimal time and effort. Atlas CRM allows users to manage customer information and record interactions across Atlassian tools including JIRA, Confluence and JIRA Service Desk. Atlas CRM offers a single source of truth for all customer information, issues, and documentation. Using Atlas CRM's range of features, businesses can record and store interaction with every customer, optimize revenue and profitability, promote customer satisfaction and loyalty, identify and manage customer relationships, and much more. CRM solution for growing your business using online lead tracking tools, individual mass correspondence, sales opportunities tracking and campaign management. Full featured, intuitive, mobile-first CRM for iPad. Fully configurable opportunity tracking. Enterprise features at a fraction of the price. Client Book CRM is a Jewelry and Retail CRM software solution, designed by Jewelry and Retail professionals to help you sell more and manage less. Close leads faster. Clinch more deals. Simpler than a traditional CRM. Better than using spreadsheets. ClinchPad is built for small teams. Cratio CRM Software is a cloud and mobile CRM software that enables organizations to manage entire sales process efficiently from a single platform. Cratio CRM is simple to use, affordable & customizable. The software has all required features for complete sales automation. Product Features Lead Management System Capture Lead Automatically Distribute Leads to Sales Team Send Personalized Email & SMS to Clients Identify & Focus on Hot/Winning Leads Customize Lead Screen to Suit Your Business Monitor Lead Status with Timeline & User Activities Sales Activities Management Plan, Assign, Track Review - Calls, Tasks & Visits Send Email/SMS Reminders to Sales Team on Due Time Send Email/SMS to Clients in One Click Get Daily Activity & Sales Reports in Email Review Missed or Overdue or Escalated Activities Track Daily, Weekly, Monthly Team Productivity Reports Mobile CRM Software Daily Activity Plan in Mobile One Click Visit Updates Call, Email Clients directly from App Customer Address with Maps GPS Location based Activity Updates Mobile CRM Works on Android & IOS Customer Communications Automatic SMS & Email Alerts Mass Email & SMS With Templates Cloud Telephony Integration Click to Call Service Call Recordings in Audio format Integrated Email, SMS & Voice 5 Reasons to Choose Cratio CRM Affordable. Save at least 50% of CRM cost. 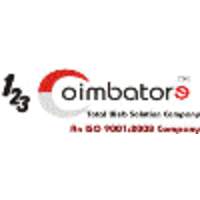 Simple to use yet with all needed CRM Features Secured, Scalable & World Class Cloud Solution Best Support & dedicated Customer Success Team Completely Customizable to Suit your business About the Company Cratio Software is software product Development Company based in Chennai, India. The company specializes in providing domain specific Mobile Sales CRM Software with less time and cost. The founding team consists of people with more than 15 years of experience in software development and products. Deskera CRM software is a cloud-based CRM system for small and medium businesses that enables them to take care of end-to-end customer management. A very nice simple, low price CRM giving you just the essential features you need for your business. Create and save contacts. Write timestamped comments on each profile. Set reminders, creating a daily to-do list. Track paid and unpaid invoices/revenue. Create PDF invoices. This is Fat Free CRM commits feed that gets updated every time I push new code to Github. Gro CRM has all the standard CRM features plus integrated ERP features like inventory, invoicing and more. No need to have multiple systems or apps anymore! Gro CRM is sn all-in-one Mac CRM solution for users and their team. HaystackCRM is a mobile-first contact and opportunity management system for small businesses. Available as an iPhone, iPad or Android app, HaystackCRM also has a web interface that is cloud-based. A visual centric interface with quick interaction as a mobile designed app. Team assignments to any record. Global search and Tags as a unique identifier of any record are searchable. Contact management includes importing contacts from your device, direct input or importing spreadsheet (web only). Emails are viewed within a contact to maintain a record of conversations, available without a plugin, after setting up an automatic integration. Geolocation identifies current connections and prospecting for new connections. Opportunities are detailed by value, stage, status, and more. Creation of quotes while in a Opportunity keeps the sales processing moving. Integration with Mailchimp allows adding contacts to a list and viewing stats of campaign performance. Integration on a device for Google mail and Drive, calendar and Dropbox. iGlobe is dedicated to deliver state of the art business applications to Microsoft Office 365. They believe in usable solutions that gives our customers value from day one. Solutions from iGlobe are easy to learn, simple to implement and affordable. iGlobe CRM Solution is a customer-driven Microsoft Office 365 application that ensures a total customer overview by giving a 360 angle view of the activities and the relationship to the Customer. A fully integrated, cloud-based business application framework. LionO365 CRM's end-to-end platform uses industry best practices to convert more leads to accounts making your sales team more effective than ever before. Simple, tailored business software that automates all your front-end work. Sales, CPQ, Orders, Service, and Projects setup to perfectly match how you run your business. MARS is an intranet CRM application designed to integrate with existing corporate enterprise systems and can be customized to meet your specific needs. A CRM too for sales teams. Nextiva Service CRM is a multi-channel customer support and customer experience software that allows agents to help customers over multiple communication channels, managing all their interactions in one place. With Artificial Intelligence tools, an intuitive rules engine, and database builder, businesses can automate workflows to and gain insights from the data. Comprehensive experience scoring and patented SmartTopic technology give companies a holistic view of customers. Pareto CRM is a simple online CRM & project management software which allows to plan, organize and track your projects, manage tasks & team members, generate and send out invoices. No need to spread your team and budget across several apps, Pareto CRM is the only software you need to run your project-oriented business. Pareto CRM gives you a complete and clean overview of your project with all the critical data, progress bars, tasks & milestones, gantt charts, total time spent, log of activities, team members assigned and more. There's hardly a better way to visualize your projects. Rainbow CRM is a lite CRM platform that allows to manage leads, contacts, organisations and add comments per lead and check revision logs to see who did what. It is suitable for small and medium-size companies that need functional and yet lite CRM system by eliminating the heavy add-ons, it aims to encourage the team's productivity and enhance relationship building. Reflect CRM for both Mac and Windows enables a business to easily manage customer relationships and databases. In addition, improve client relationships by taking notes, tracking interactions, tasks and upcoming events. SalesUp! facilitates the performance of daily activities to sales executives and managers. Managers give them control and allow them to standardize the phases of their entire sales process, in order to have visibility of the status of each client. A powerful, user friendly lead management and sales conversion tool that moulds to the way your company works. WHY IT'S DIFFERENT Saratoga CRM’s unified architecture is designed for multi-platform Internet, client/server and mixed mode environments. This is coupled with an open database design that takes maximum advantage of Microsoft SQL Server and Oracle as database engine choices. WHY YOU NEED IT Saratoga is designed for use not only by your own sales, marketing and service personnel, but also by your channel partners and customers. With effortless workflow and navigation, Saratoga is easy to learn and easy to use. Personalized dataviews and security groups enable you to easily tailor the information content for each class of user. WHAT YOU GET Saratoga solutions offer a rich set of out-of- the-box functionality that can be supplemented by customer-specific business rules and processes. These customizations are quickly and easily performed without tedious programming or impact on existing users by using the high level components of the Business Application Studio. Second CRM is an award winning business automation solution, designed to make small to mid-market businesses profitable, by automating their business operations, using Internet and mobile technologies. Second CRM focuses on improving sales & marketing, customer support and operations. Second CRM easily adapts to most business environments by offering a flexible, cost-effective and easy to use application. Second CRM provides a single view of customer interactions across sales, marketing, support and backend operations. Second CRM reduces workload and accelerates growth while enabling companies to focus 100% of their energy on what counts — Customers. In CRM (customer relationship management), CRM software is a category of software that covers a broad set of applications and software designed to help businesses manage customer data and customer interaction, access business information, automate sales, marketing, and customer support and also manage the employee. SutiCRM is a web based CRM for businesses of all sizes, designed to automate sales, marketing and support processes, including a 360 degree view of customer data. By providing tools such as marketing campaign management, sales force automation, sales forecasting, activity management and social media engagement, SutiCRM aims to help businesses capture leads and gain insight into current customers. TeamGram is an all-in-one cloud-based tool designed to help business teams collaborate, manage tasks, customer relationships and sales. An easy to use Sales CRM for growth fanatic Small Businesses, Startups or any organisation graduating from spreadsheets or simple contact management system wanting to have more visibility & control on their sales process to close more deals. VelaCRM is a customised lead and resource management tool. WakeUpSales is an open source CRM tool that boost sales, manage deals and grow business exponentially by adding visibility to sales pipeline. Zimplu CRM is an online contact management tool that aims to help entrepreneurs and sales teams improve their performance, sales and customer support service. The idea behind it is to create a very simple application that can be easy to use without manuals. This Customized CRM is a web based solution which assists to increase more sales by assigning, automating and effectively tracking the leads. Complete customized CRM, in a few approaches, to outfit your accurate business requirements.